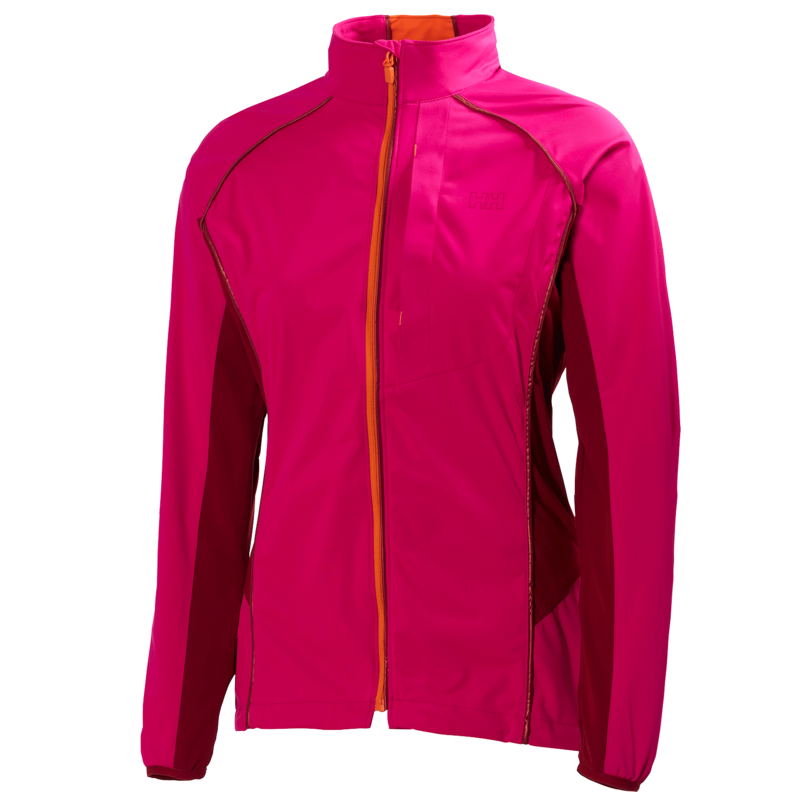 At the risk of sounding cliché, the Helly Hansen women’s Challenger Jacket is always game for a challenge. Worn as a mid layer, worn as an outer layer, worn as an accomplice in nearly every mountain sport, this lightweight zip-up is a year-round essential when the going gets a little cold. Helly Hansen’s heritage lies in technical mountainwear, and their advanced R&D trickles into the jacket’s seemingly basic construction. It’s dubbed a “training jacket” by HH’s creative department, but don’t let the pro-level attire intimidate you from wearing the zip-up when you’re on a more casual tour de trails. 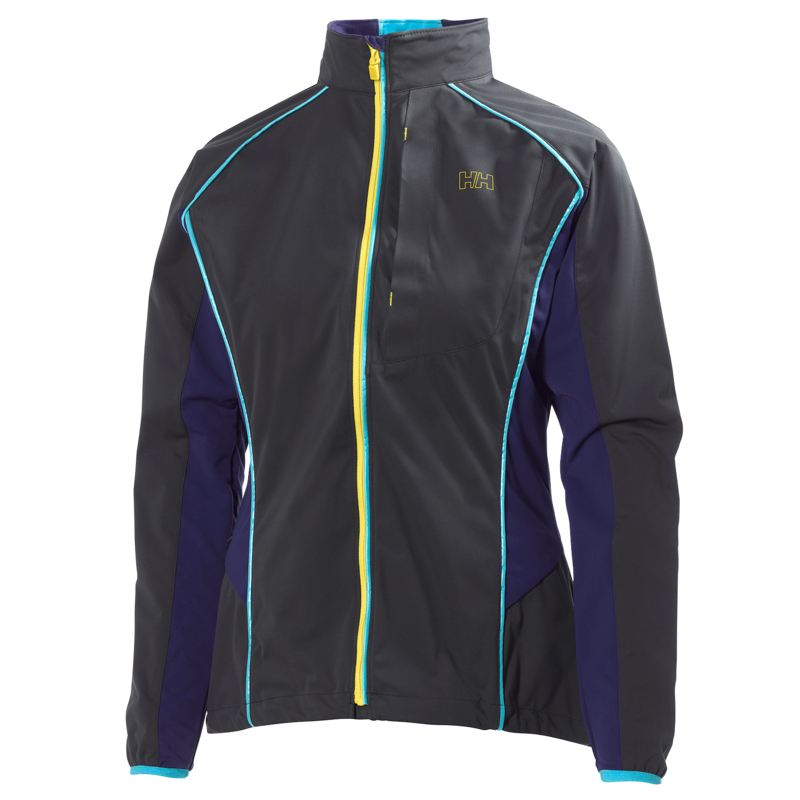 This fall, the women’s Challenger Jacket has accompanied me on dozens of mountain bike rides and hikes in alpine and desert environments when the weather has teetered on the edge of cold. Though it hasn’t encountered any snowflakes by my own adventures (yet), its versatility for cardio-driven outdoor sports has consistently won me over for its Goldilocks-style warmth: just right in any condition. The jacket’s windblock front panels do a standup job in the face of a bone-chilling breeze, acting as the first line of defense against any sort of headwind. And with a water-resistant treatment, you’ll be hard-pressed to turn around when a little rain or snow starts spitting from the sky. The fabric does an exceptional job of keeping your core warmth locked in, but breathable stretch panels under the arms and on the back expel excess heat to help prevent overheating. Even with a fully loaded hydration pack strapped to my back, the fabric proved its ability to regulate my internal temperature. On a larger scale, that meant I could go an entire ride, hike or tour without the hassle of removing the jacket (then putting it back on, then taking it off, then….). Simple “micro adjustments,” like unzipping the collar, provided enough airflow to keep me happy from trail to summit. If you’re looking for a jacket stocked up on bells and whistles, this isn’t it. The only bell and/or whistle comes in the form of a single zippered chest pocket, which is roomy enough for a car key, phone, ID and Chapstick–all the bare essentials that accompany me on any outing. Nevertheless, it’s a minimal approach to a technical jacket, and as the seasons give way to a whole new set of sports, you can be sure I’ll have it in tow. 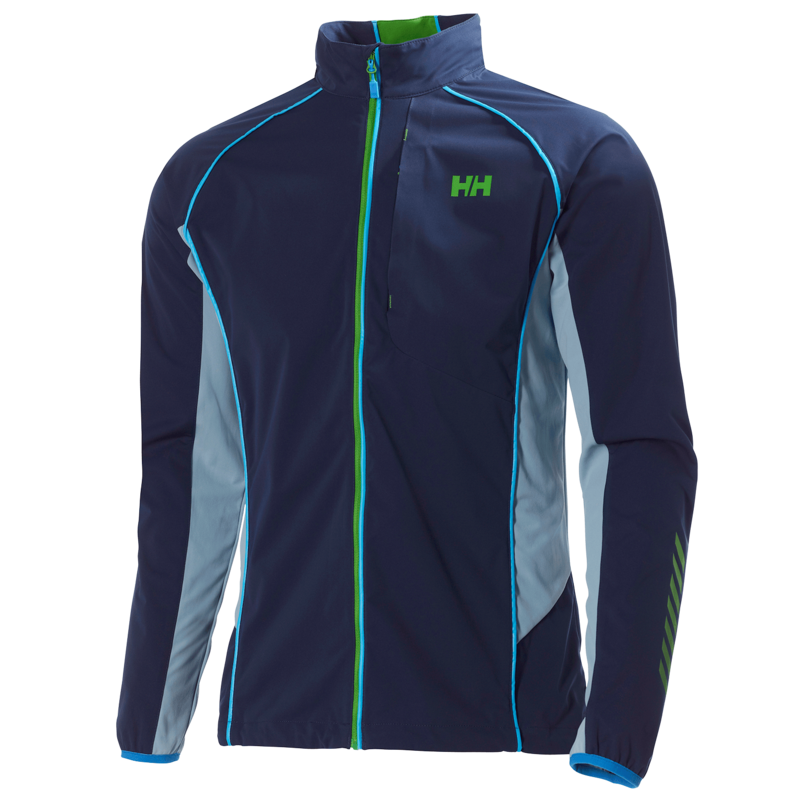 The Helly Hansen Challenger Jacket is also available in a men’s version. Both jackets retail for $200. To purchase Helly Hansen products, click here. 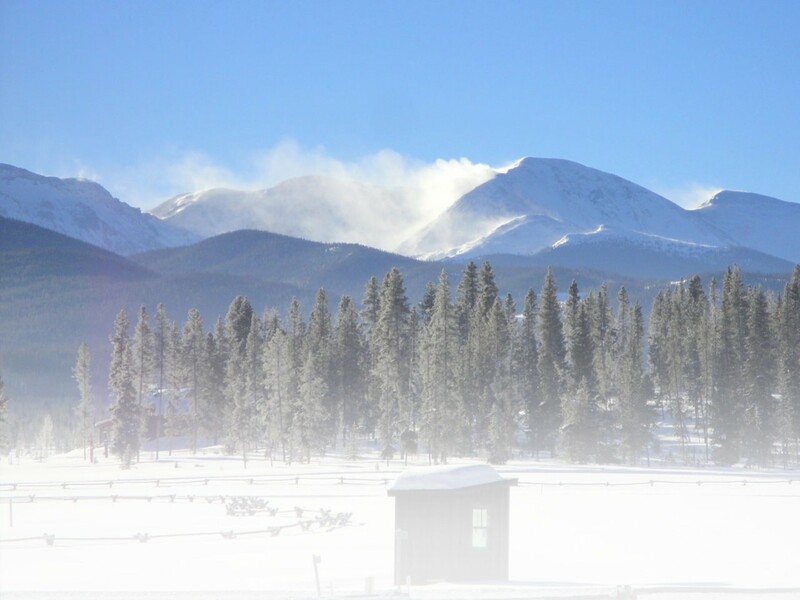 This entry was posted in Gear Reviews, Jackets and tagged challenger jacket, clothing, Gear, gear review, helly hansen, jacket, men's, Mid Layer, outerwear, review, women's by Stephanie Nitsch. Bookmark the permalink. Stephanie Nitsch is an outdoor writer with roots in the Pacific Northwest but calls Utah home. Stephanie writes adventure stories, gear reviews and profiles for the likes of ESPN, Bike, Snowboard Canada, Utah Adventure Journal and more.